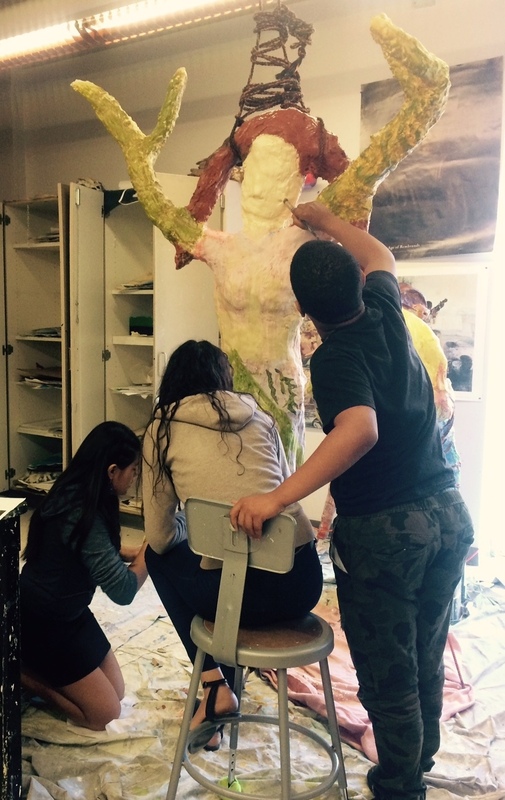 200 Middle School students at the Sleepy Hollow Middle School participated in a series of visual, performing and literary art residencies in the 2015-2016 school year to culminate in the creation of site specific public art pieces. Students worked with four artists in the art classroom, science classroom and ELL classroom to integrate the science curriculum with the arts to create 3 public art pieces which were placed on the school grounds, create a digital map of the grounds and where the sculptures were placed and map the school grounds and participate in a public speaking/ docenting residency to learn to present about the work. They will learn how to plan and create site specific work, then discuss their creations with the public. Throughout the residencies students will spend time documenting, presenting, speaking and writing about the process and work. The program will bring together English Language Learners (ELL) with the general education students to improve relationships, communications, self esteem and enhance learning, presentation skills and vocabulary. 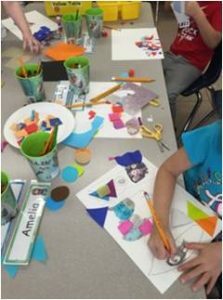 ELA and Visual Arts: By using picture books and asking students to write for the students treasures book and after classes, we were able to challenge both arts and ELA learning standards. Teachers in both classes supported the learning in ELA and asked students to write. My workshops were mainly art-based with the exception of reading the stories and asking students to share their work. Students learned how to sew and cut fabric and felt to create quilts to assist in social studies and math curriculum. Students studied pictures of land features, to make designs using colored paper and glue then transferring these designs to colored felt fabric and sewing a quilt. 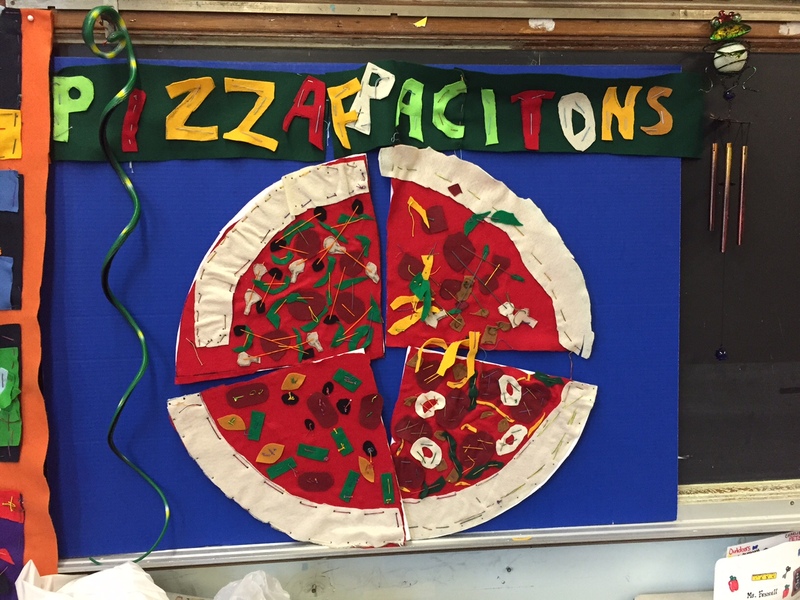 Then students created fabric pizza’s into 1/8th sections by cutting and sewing colored felts.